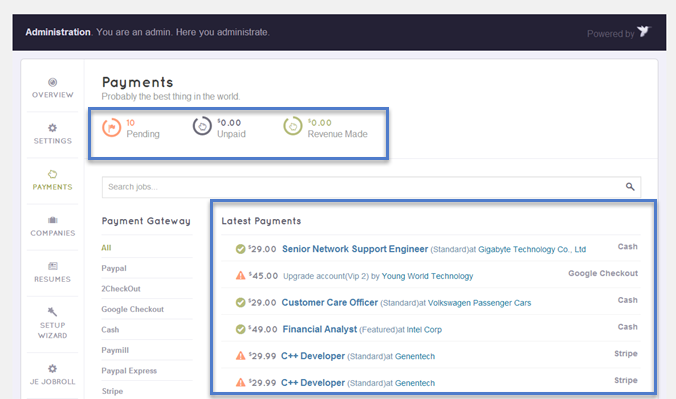 This page enables you to track all paid and unpaid transactions made to your site. From back-end, hit Engine Settings > Payments. You can view latest payments made through each payment gateway or view them all at once.